The Indian government has introduced a new transhipment procedure using an electronic cargo tracking system to facilitate the transport of Nepal-bound transit cargo from Kolkata, a significant move that will simplify border formalities, reduce transit time, ensure safety of the consignment, and boost bilateral trade. 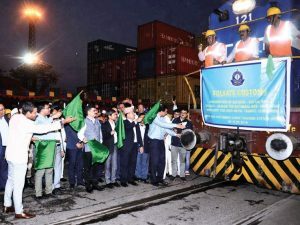 The first train carrying Nepal-bound transit containers under the new simplified transhipment procedure was flagged off on February 15 by Kolkata Port Trust. According to a press statement issued by the Indian Embassy in Kathmandu, the Central Board of Indirect Taxes and Customs of the Government of India launched such a modality on pilot basis on rail route from Kolkata/Haldia to Birgunj via Raxual Land Customs Station and Biratnagar via Bathnaha Railway Station and Jogbani Land Customs Station. 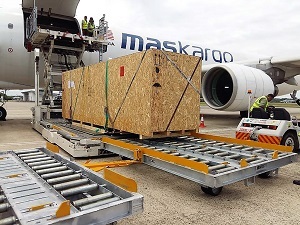 To make the airline’s cargo services available to a wider global freight market and provide customers with industry-leading visibility across the shipment lifecycle, Unisys Corporation has announced that MAB Kargo Sdn Bhd (MASkargo), the cargo division of Malaysia Airlines, will further enhance the digital transformation of its business using two secure, cloud-based Unisys Digistics digital logistics solutions. 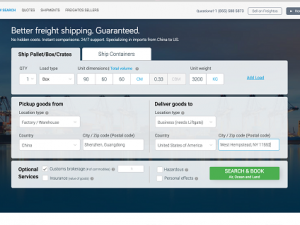 Under a five-year engagement, MASkargo will join the Unisys Digi-Portal e-commerce platform to promote its inventory to a wider global community of more than 25,000 buyers – forwarders, airlines, general sales agents, and handlers across 140+ countries. 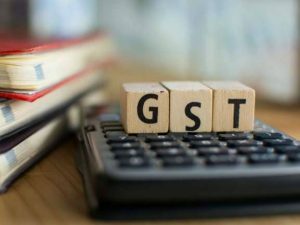 To check Goods & Services Tax (GST) evasion, the government is planning to integrate the GST e-way bill system with the National Highways Authority of India’s (NHAI’s) FASTag mechanism, from April. The revenue department has set up an officers’ committee to integrate the e-way bill, FASTag, and DMIC’s Logistics Data Bank (LDB) services, after consultation with transporters. “It has come to our notice that some transporters are doing multiple trips by generating a single e-way bill. Integration of the e-way bill with FASTag would help find the location of the vehicle and when and how many times it has crossed NHAI’s toll plazas,” an official told PTI, adding that the integrated system on an all-India basis was planned to be rolled out from April. JNPT (Jawaharlal Nehru Port Trust) has organised a five-day seminar on ‘Engineering & Procurement’ as part of its industry skill development initiative. Commenting on the programme, Neeraj Bansal, IRS, Chairman-in-Charge, JNPT, said, “We started the JNPT APEC Training Centre with an aim to provide timely skill and knowledge upgrade to port professionals so they would be abreast with the latest trends in the industry. This will thus enhance the overall efficiency and quality of the port services across India and Asia.” The seminar will focus on all engineering aspects related to the port and an in-depth understanding into workings of procurement and their importance in port strategy. 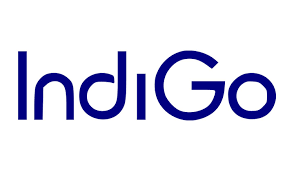 Allcargo Logistics has signed a Memorandum of Understanding (MoU) with JNPT and CIDCO, wherein Allcargo will set up the operations, maintenance and management of a skill development centre in Bokadveera, Uran near JNPT. Youth from the underprivileged sections of the society will be provided skill-based training at the centre to boost their employability opportunities in the domestic port and maritime logistics sector. 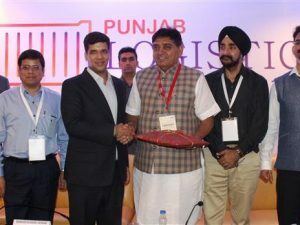 Conceptualised as Pradhan Mantri Kaushal Kendras (PMKK), a flagship scheme of the Union Government’s Ministry of Skill Development and Entrepreneurship (MSDE), the skill development centres will offer industry-centric training and job skilling initiatives to needy youth across diverse industry verticals like logistics. The Ministry of Skill Development and Entrepreneurship is supporting skilling in Sagarmala through its stakeholders including National Skill Development Corporation (NSDC), Sector Skill Councils (SSCs), and the flagship scheme of Pradhan Mantri Kaushal Vikas Yojana (PMKVY) and Pradhan Mantri Kaushal Kendra (PMKK). Courierhome has launched its first Chatbot powered by ALIS (Advanced Logistics Intelligence Solution). 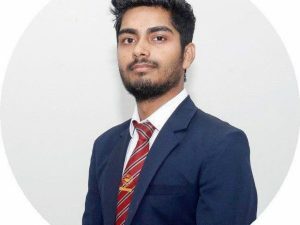 This new service of Courierhome will help in queries of the users with automatic replies, product demo and much more and which will eventually help in the time management of the company. Chatbot assists users step by step and helps them in answering the customer’s query. As Chatbot do not suffer from the limitation of customer support, it can be available for as many as 1000 customers at the same time. The company is using this technology to provide personal assistant and help to the user and resolving the common issues of a making a booking in the courier platform. Prateek Sharma, Founder & CEO, Courierhome, say, “Through Chatbot the users will be provided with a conversational UI which is more familiar and efficient. 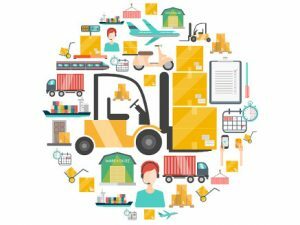 Since visibility is the key in logistics, Chatbots will help the users with real time information and thus this will help us in giving customer satisfaction and engagement”. 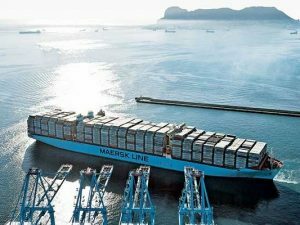 OceanPro , an intensive 120-day accelerator programme, is offering start-ups an opportunity to partner with Maersk to bring innovative technology solutions to ease the global supply chain for customers. Pioneered in India, OceanPro complements Maersk’s innovation efforts worldwide. 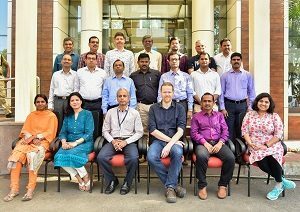 Seven external start-ups and one internal start-up have been identified for collaboration to create solutions that serve customers and manage operations better, leveraging Blockchain, Internet of Things, Advance Text Analytics and Artificial Intelligence. “We recognise the immense potential of India’s technology and digital talent and are looking to capitalise on these capabilities to help the logistics industry worldwide, to reinvent itself,” says Søren Skou, CEO, A.P. Moller – Maersk.